The Watchtower: Announcing Jehovah's Kingdom is a magazine published twice monthly by the Watchtower Bible and Tract Society of New York, Inc. 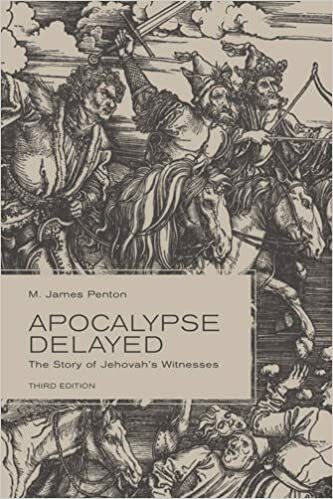 The magazine is colorfully illustrated and contains about 30 pages of articles of religious and moral interest based on the teachings of Jehovah's Witnesses. “The Watchtower—No Other Magazine Comes Close.” Web. Accessed 23 Mar. 2017. Melton, John Gordon. “Jehovah’s Witness.” Encyclopaedia Britannica Online. Web. Accessed 23 Mar. 2017. “The Watchtower.” Wikipedia. Web. Accessed 23 Mar. 2017. “The Watchtower—Published Since 1879 [video].” Web. Accessed 23 Mar. 2017. Cover of Zion's Watch Tower and Herald of Christ's Presence, October 1, 1907.